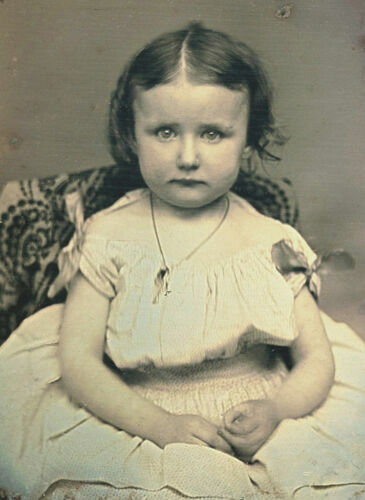 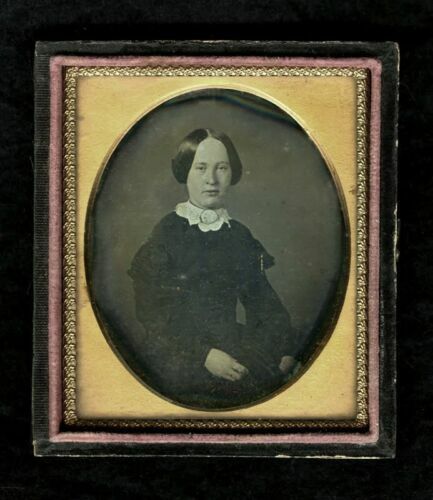 Boldly Red Tinted Dress Daguerreotype of Young Lass and a Beautiful Ornate Vase! 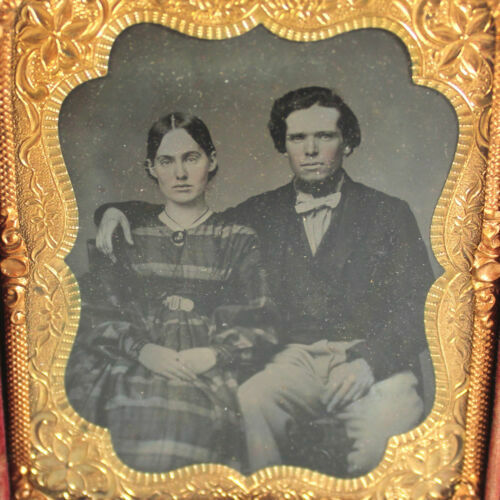 Fantastic Horizontal Daguerreotype of a Boy & a Girl, Holding Flowers & Hammer!! 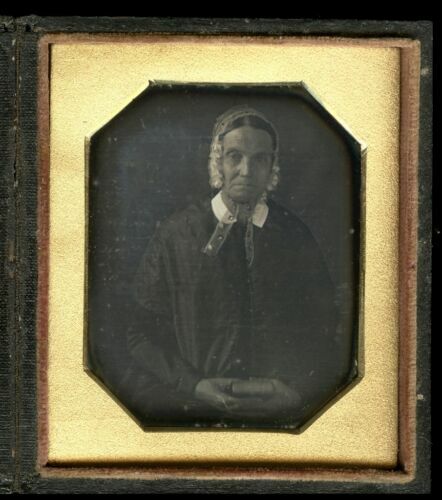 Rare Daguerreotype of Young Lad in Tartan Outfit Holding an Indian Beaded Purse! 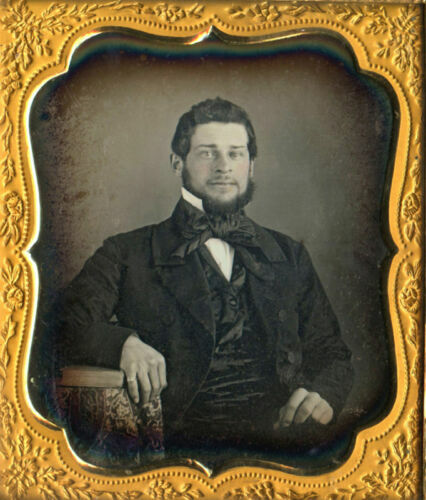 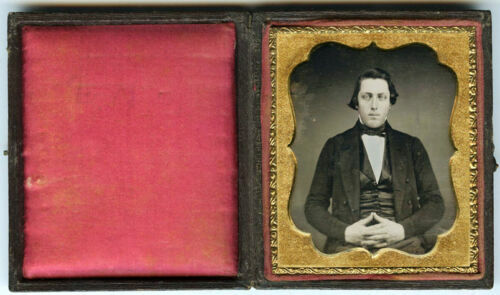 Mysterious Daguerreotype of an Odd Waif Dressed as Gentleman in Bizarre Jacket!! 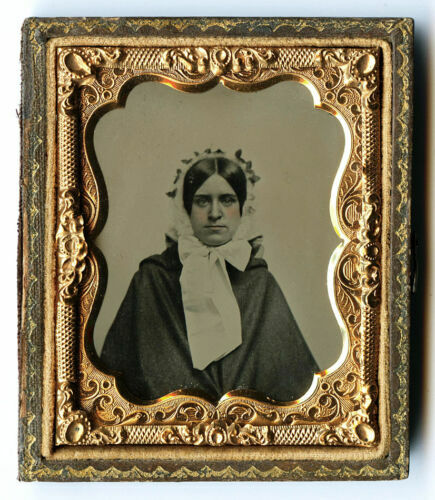 Philadelphia Actress or Mourning Daguerreotype of Eerie Matron R. Jennings Case! 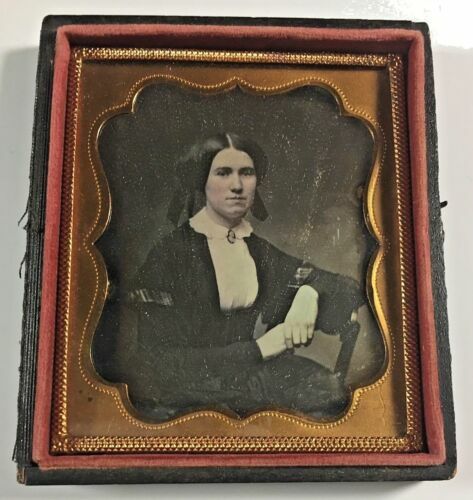 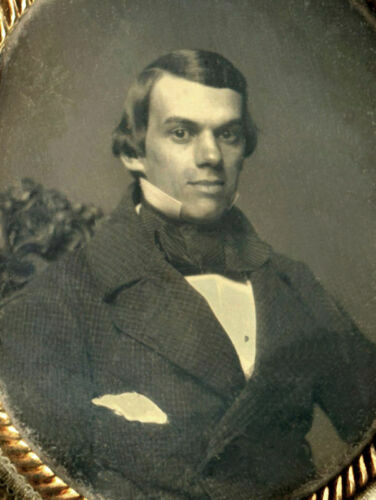 Sixth Plate Thermoplastic Daguerreotype Union Case Soovill mfg. 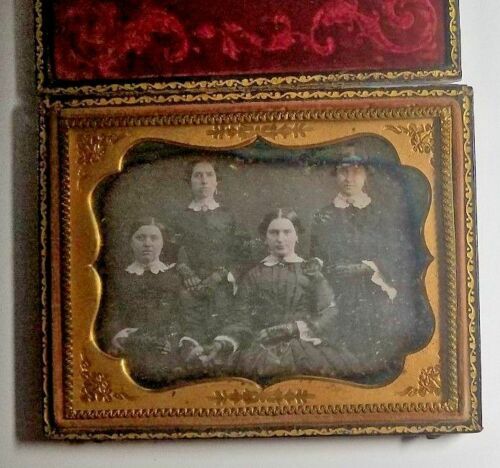 1840 DAGUERREOTYPE - COZY IMAGE - 2 MEN, ONE DRESSED AS A WOMAN - CROSS DRESSER? 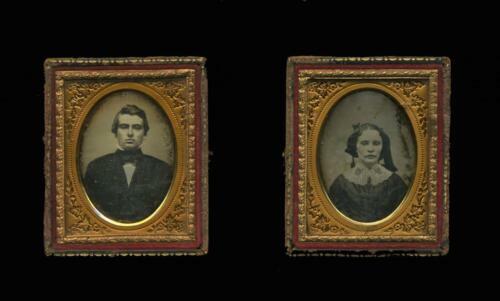 Two Antique Daguerreotypes "Woman With Pig Tails" & "Mother With Baby"